‘The Smugglers’ opens the fourth series of Doctor Who with the final historical story of William Hartnell’s tenure as the Doctor. To this point, the historical tales have fallen into two distinct camps, those such as ‘The Aztecs’ and ‘The Massacre’ that are quite staunch and serious and those such as ‘The Romans’ and ‘The Myth Makers’ that veered distinctly into comedic territory. 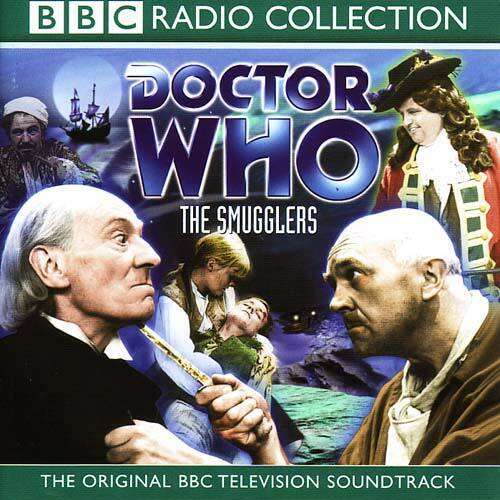 However, ‘The Smugglers’ merges these two subsets to incorporate a sense of capricious whimsy into its otherwise solemn and quite brutal storyline, a rather successful approach for the Doctor’s first televised adventure with pirates. Whereas the preceding serial ‘The War Machines’ perhaps highlighted some of Hartnell’s increasing health-related frailties, here he is unequivocally at his best and central to the action throughout. Even as he constantly receives more threats to his life, he always carries himself with dignity, unafraid to use to his mind to find an escape. Though his escape from The Black Albatross and some of his other strategies are perhaps not the most inventive and often prey upon the ego and shortcomings of his foes, they nonetheless showcase a confident Doctor has begun to develop more manipulative tendencies to ensure safety. As their first full story as companions, ‘The Smugglers’ continues the strong start for Polly and Ben. Their willingness to accept that they have traveled through time and space allows them to become much more involved in the action from the start. Polly, in particular, gets to show how strong and resourceful she is by using local superstitions to bring about her escape from prison. After playing a hypnotised shadow of Polly for a good portion of her debut, Anneke Wills certainly rises to the occasion as the true Polly begins to shine. Michael Craze does admirable work as Ben as well, and the two together have already developed a wonderful friendship that promises to be a strong core for the franchise in the near future. Although ‘The Smugglers’ does not necessarily rely on a complex or rewarding plot, it gives its guest cast ample opportunity to shine. Paul Whitsun-Jones as the roguish Squire who eventually realizes the error of his ways and George A Cooper and Michael Godfrey as the villainous pirates Cherub and Pike, respectively, are the true highlights. Cooper instills a dangerously psychotic edge to Cherub while Godfrey ensures his Pike always acts with the façade of civility, both making different but equally dangerous foes for the Doctor. John Ringham as Blake and Terence de Marney as Joseph Longfoot round out the cast exceptionally. Even if ‘The Smugglers’ remained in the video archive, it surely would not be regarded as a classic serial. However, with its strong guest cast supporting equally strong performances from its leads while giving more depth to the new companions, it’s certainly an enjoyable starting point for the fourth series. Pirates are a tough foe to integrate without relying on clichés, but ‘The Smugglers’ does so quite successfully while keeping a solid pace that allows the tension to build through a final and powerful swordfight.